When you see a 1/2-inch to a 5/8-inch medium brown bug with two distinctive dark strips running down the back of its head, most likely you are looking at a German cockroach. You aren’t alone in your sightings as this bug is the most common of the cockroach species found in hotels, restaurants, apartments, houses, and similar buildings. – To start with, the female carries a larger number of eggs, which can range from 30-50 per egg capsule. – Cockroaches also have the shortest time span to develop from the moment they hatch until they become sexually active. This means that there is a faster turn around and a higher potential for population growth. – Because female cockroaches carry the capsule throughout the development of the embryos, the baby cockroaches are not subjected to many of the hazards that other types of nymphs face that are not kept in egg capsules for the duration of their development. – Baby German cockroaches are small compared to other cockroach species, which allows them better opportunities to hide and survive. These factors contribute to a fast reproductive cycle adding to the cockroaches already established worldwide population. 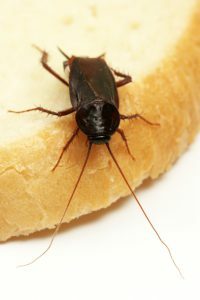 Managing a cockroach infestation needs an experienced NJ cockroach exterminator. 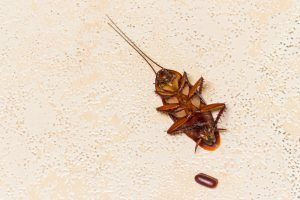 Contact us at Stern Environment and we’ll schedule a NJ cockroach exterminator for an inspection and to rid your home of unwanted guests. Is Your Cockroach an Extrovert of an Introvert? A group of researchers at Université Libre de Bruxelles have discovered that cockroaches actually have personalities and their own individual character traits. While this may not prompt you to keep them as pets, scientists believe it can help reveal what is behind their powerful survival instinct. The research group conducted a study to observe how cockroaches act when they are out in the open. Several subject roaches were released into a brightly-lit arena featuring two round shaded “shelters”. The conditions played into cockroaches’ aversion to light as well as their tendency to seek protection in numbers. As explained by lead researcher Isaac Planas, the goal of the experiment was to study behavior and decision-making in a group setting. It was expected that all the cockroaches would quickly gather beneath the shelters, but in reality the time it took varied from group to group. Some of the cockroaches were more adventurous, tending to spend more time exploring the surroundings, while others were more shy. While one roach’s behavior may have influenced others, each had its own ability to decide, setting cockroaches apart from other insects like ants and termites who maintain a social hierarchy. This difference in behavior is one of the reasons why a cockroach infestation is so difficult to eliminate. Our team of trained professionals will safely and thoroughly remove all trace of these pests. Contact us today to schedule an appointment.